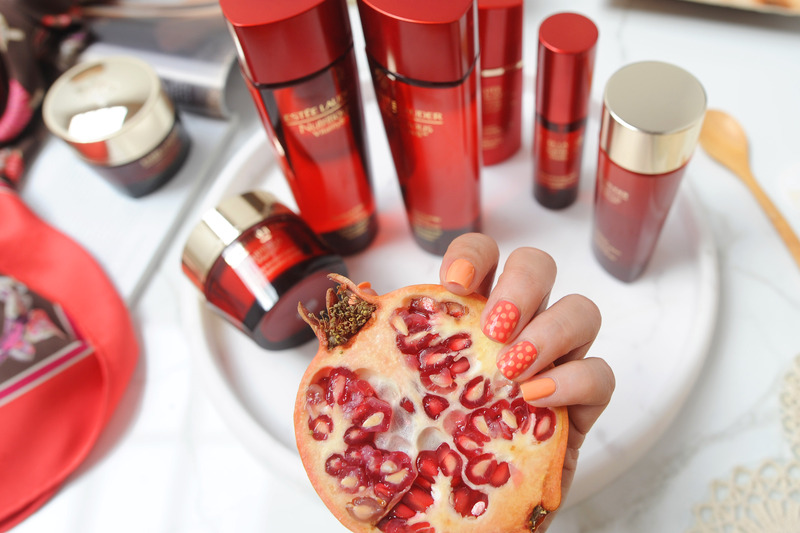 Infused with Estée Lauders propriety Pomegranate 8 Complex, Nutritious Vitality8™ is a range meant to bring back the glow! I was introduced to this effective skincare line last year (around this time actually) and have been happily indulging in some pomegranate goodness ever since. It’s a collection I turn to whenever I need to combat dull skin and deliver than radiant, healthy glow. I find myself reaching for the Radiant Crème almost every day (now my go-to current favourite night cream) and the Radiant Overnight Detox Mask a quick SOS treatment after a particularly strenuous week. Nutritious Vitality 8™ was created exclusively for Asian skin. Powered by a potent anti-oxidant blend of pomegranate extract, mangosteen, super berry ferment, Vitamin C & E, Nutritious Vitality 8™ helps reset skin to it’s natural, dynamic equilibrium to give you that radiant skin we all strive to achieve. Skin looks more energised, refined, hydrated, nourished and of course younger. There’re 7 products i’ll be discussing with you today. Some which I tested out last year and three new additions that just launched this June. I’ll also be rounding up my favourites from the collection to make things easier if you feel a bit overwhelmed! Radiant Energy Lotion which comes in two formulations. 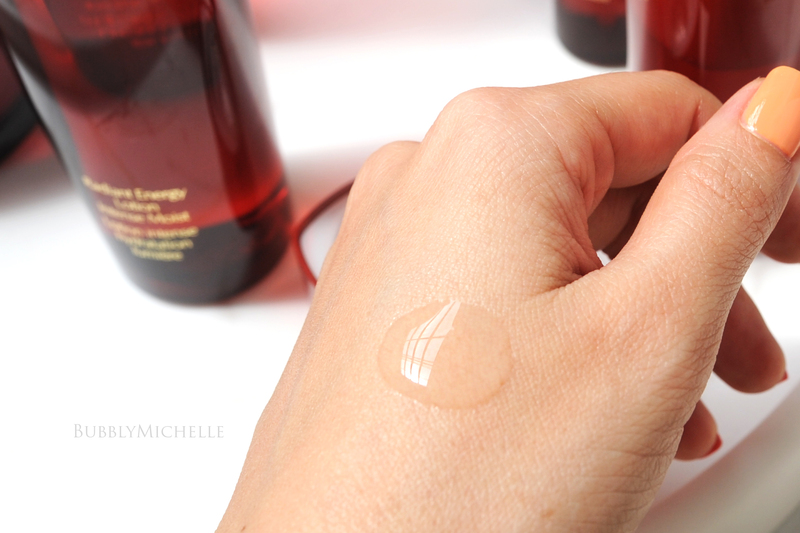 Fresh Moist, a lighter formula for normal to combination skin and Intense Moist designed for dry skin. Both non-oily and fast absorbing. If lotions are new to you, it’s a step done post cleanse to soften and lock in moisture before proceeding to the heavy duty treatments (serums etc). It’s one of my favourite steps in skincare as I try my best to ‘water’ my skin at any given opportunity. Personally I prefer the ‘thicker’ formulas such as the Intense Moist (even though I have combination skin) as I believe skin can never be over hydrated. In addition to deeply hydrating your skin, the Nutritious Vitality 8 Lotions comes supercharged with Pomegranate8 Complex. One more step towards radiant skin. A lightweight mist to refresh and hydrate. As with all products within the line, this too comes infused with Pomegranate8 Complex to top up hydration and look radiant all day. What I like about it is that it’s a very light, even mist that doesn’t disturb makeup which makes this great for mid day spritzes. It also smells awesome (as all the products in this line btw), like a burst of fruity goodness with each spray. I see this a great poolside staple, tiny enough to fit into a summer clutch and also infused with skincare properties that would benefit more than just a mineral water spray. On to older releases from the Nutritious Vitality8™ line which i’ve tested out last year. 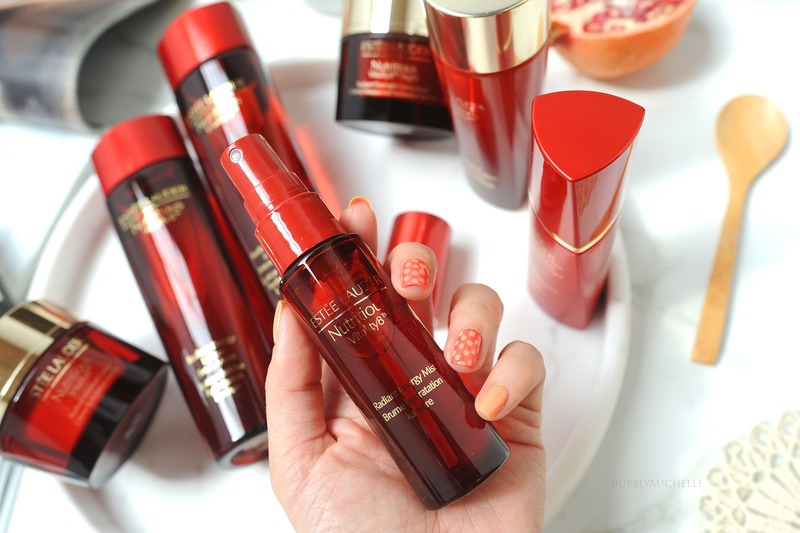 Infused with Ginseng extract that compliments the proprietary Pomegranate8 Complex, this helps recharge skin with vital energy in addition to hydrating and promoting radiance. The Innovative dual-phase formula strengthens the skins moisture barrier and leaves the skin dewy and full of vitality. It’s proposed as a step after lotion (as a light weight moisturiser for the day time). While testing out the line last year, I noticed the one product I reached for the most was this great moisturiser. The texture was just right. Non oily, fast absorbing and best of all smells great! What I love is that it pairs well with any serums I apply and also keeps my moisture levels in check throughout the night. For day time it works great under makeup and keeps the skin looking supple throughout wear. An overall amazing formula if you are looking for a good night or day time moisturiser which promotes radiance and refines skin texture. I’d recommend this for anyone with normal to combination skin. Is a highly concentrated dose of Pomegranate8 Complex to smooth, soften and brighten skin while you sleep. 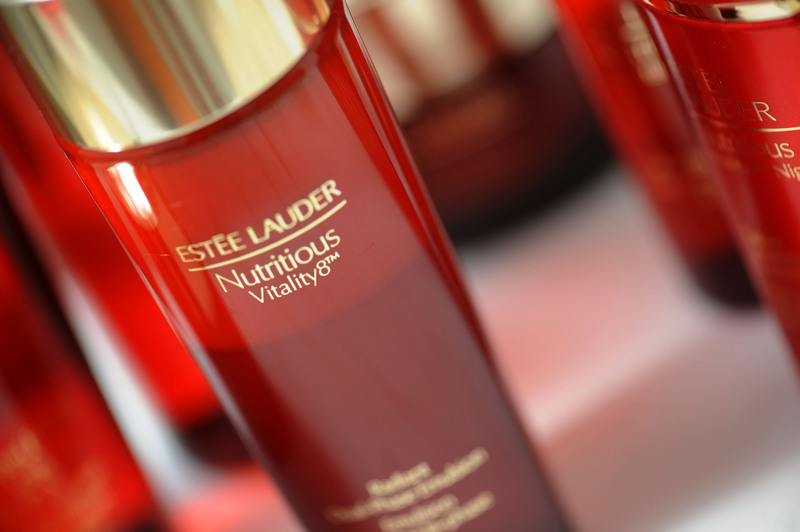 Lightweight and fast absorbing, this completes your Nutritious Vitality 8™ regime for smoother, brighter skin. Recommended to be used for 28 consecutive nights as a treatment. As and when needed. To be used as a moisturiser for drier skin or an intensive treatment for other skin types. 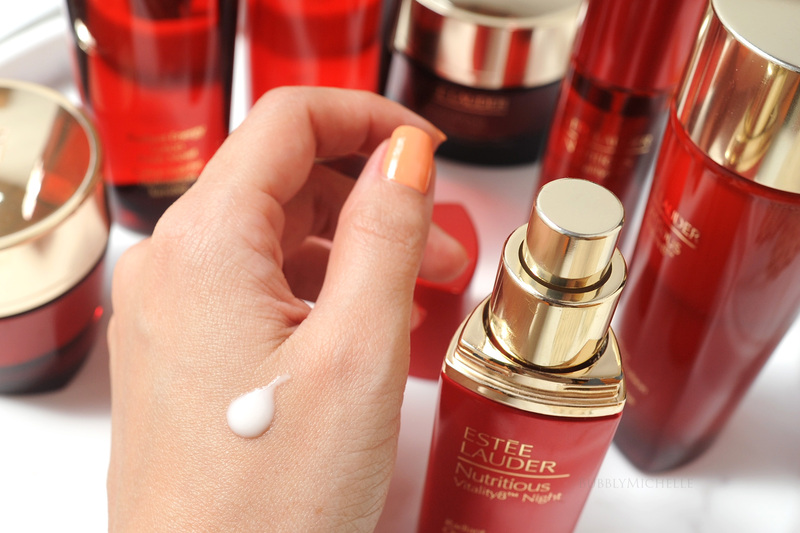 Slightly thicker in texture to the Radiant Moisture Creme, this one holds in moisture better. As you can see, the texture looks sublime. I love massaging this into my face at night in smooth strokes. *For very dry skin types I believe the hydration this provides may be slightly inadequate unless paired with a hydrating serum or lotion. 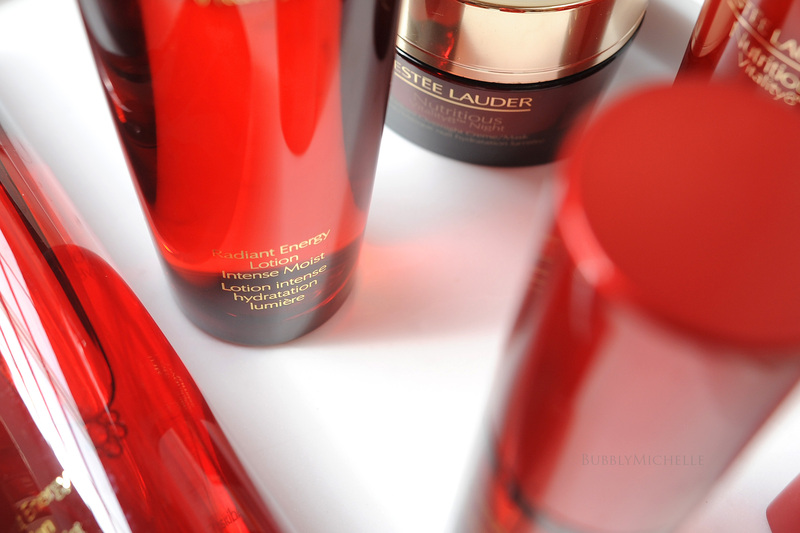 If I had to pick my favourites from this collection, it’s the new Radiant Energy Intense Moisture Lotion, Radiant Energy Mist and the Radiant Moisture Crème. The Radiant Moisture Crème is my go to night cream on most days paired with the new Radiant Energy Lotions that adds an extra burst of hydration. It’s a combo that works great with any night serum I may choose to use. Overall these two work to keep dehydration at bay and prevent fine lines. The Mist is included in my faves as a summer staple. Be it topping up hydration on hot days or as a toner step in your skincare routine I find this one of the most well priced mists on the market. Also a big PLUS, it’s quite small and handbag friendly unlike other bulky expensive mists that claim to be compact but clearly NOT. *includes PR samples sent for review. Wow ! Now I want them all ! !